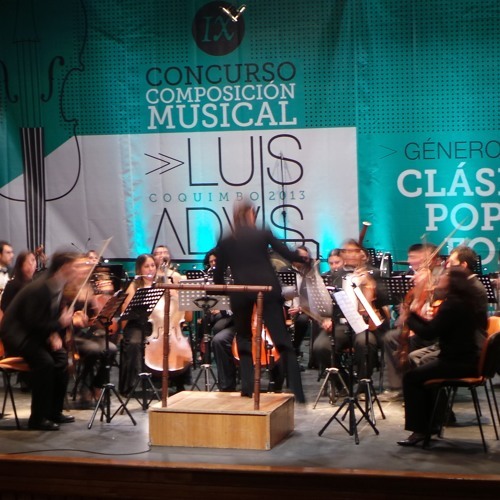 Composition performed at final round of the IXth Luis Advis composition contest, organized by the Consejo Nacional de la Cultura y Las Artes (Chilean Government). Orchestral Work finished in 2013. Recorded at Palace Center, Coquimbo, Chile, October 5th 2013. Orquesta Sinfónica de la Serena. Alejandra Urrutia, dir. Sound edition by José Oplustil. Published by Edizioni Sconfinarte. All rights reserved.